Terra de Ninguem, No-mans-land. That is what the Brazilians call the Panatanal, the largest nature preserve in the world. 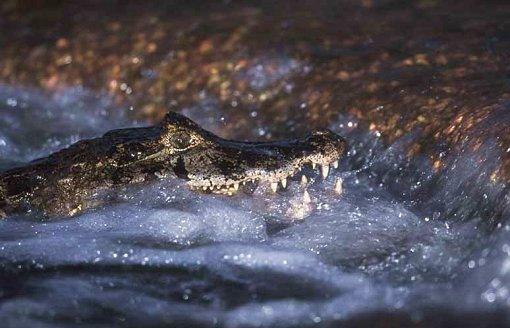 The water wilderness of South America is the Promised Land for animal and nature photographers. Cayman. Next to a bridge, under which a whirlpool had formed, the caymen gathered on a regular basis and waited with wide open jaws to catch the passing fish. The problem: the caymen did not start their hunting spree until after sunset. But with the twilight, enormous mosquito swarms suddenly appeared. Within minutes, I was so badly bitten, that I could hardly concentrate on the fishing caymen. Canon EOS-1, with EF 4.0/600mm, 1/30 sec, flash intesifyer, Fuji Sensia 100, tripod. To catch good photo subjects you need to get up early, better yet, before sunrise. You will just have to live with the ever present mosquitos in the Panatanal. CAREFUL: There are poisonous snakes in the shallow and murky waters! The high humidity (up to 90%) is a problem. Sometimes you have water dropping off the walls and rafters in the lodge. That´s when you have to put on the wet clothes again, that you hung up to dry the evening before. IMPORTANT: Galloshes and rubber boots for the swampy and flooded terrain. Sleeper tree. With the last daylight still left, I discovered a sleeper tree with silver and satin herons. During the breaking twilight, more and more birds flew onto this tree. I waited until it was almost dark. A lake between the tree and myself prevented my getting closer. Canon EOS-1, EF 4.0/600 mm, 2 X converter, 1/30sec, Fuji Sensia 100, tripod. During longer closures you can use a four-Kilo bag of rice to eliminate any wobbling of the lens, which may be triggered through the camera´s mirror. We were underway in Transpantaneira with a VW-Van. In the water beside the road, Anhinga were fishing. Some where sitting in the trees drying their wings after their fishing spree. Canon EOS-I, EF 4.0/600 mm, 1/500 sec, Fuji Sensia 100, Car window-tripod. What has more to offer? 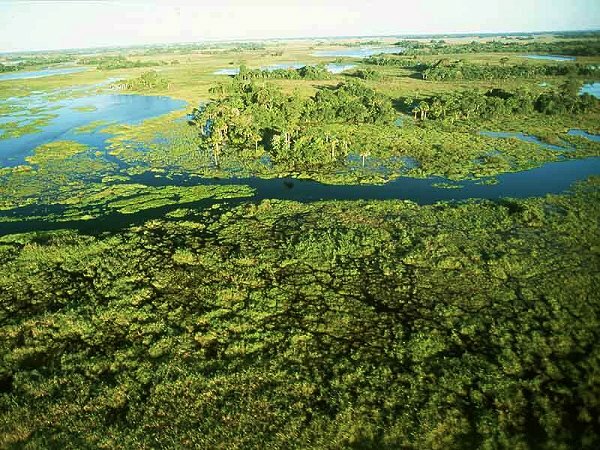 The Pantanal is a superlativ habitat: the water wilderness is 240 000 square kilometers in size, located where the three countries, Brasil, Bolivia and Paraguay meet. As large as the state of Hessen. 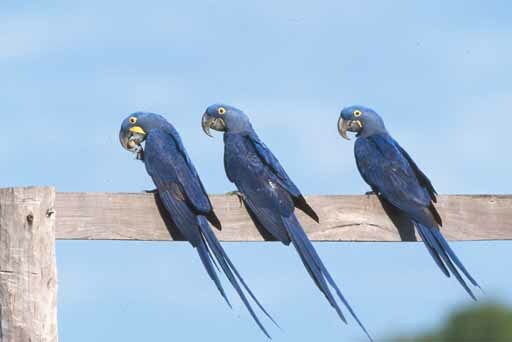 The largest part of the nature preserve is part of the brazilian states of Mato Grosso and Mato Grosso do Sul. Living in these marshlands, barely touched by humans, 650 species of birds, 250 types of fish, 80 different kinds of mammals and 50 species of reptillians exist. Besides the innumerable insects, there are more than 1000 different species of butterflys. 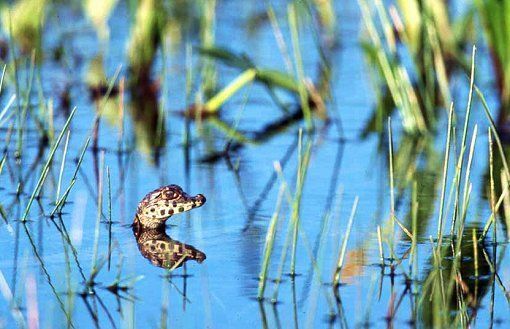 From November through April, more than 6 months a year, the swamplands are under water. 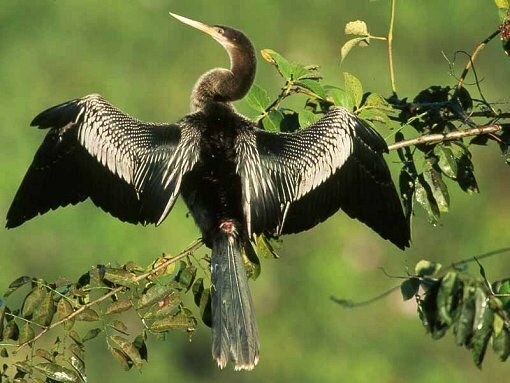 From a catchment area of more than 2 Million square kilometers, the waters of large and small rivers gather in the Pantanal to a great inland delta. During the dry seasons, sweet water lakes and lagunes are formed as the water retreats. The wildlife to the Panatanal follow the course of the water. Numerous birds nest close to the waterfront. 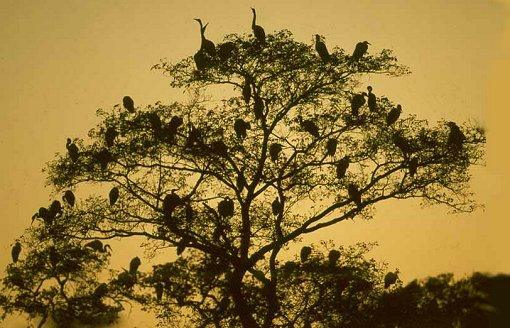 Spectacled Caymen, Tapir, Waterpigs, Herons, Ibiss, Spoonbills and Storks, among them the Jabirú, the worlds largest Stork. 3000 specimen are left from the endangered Hyazinth Ara. If you are lucky, you can even observe a Jaguar. 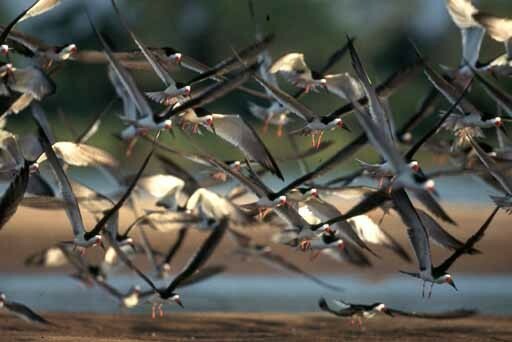 The Panatal is a garden of Eden for the migratory birds of North- and South America. There are three birdroutes which cross the swampland: Woodland Storks from Argentina, Tyrant birds from the slopes of the Andes and from North America, the Osprey and Yellow-thighs. Starting point for the Panatanal safari is Cuiabá, a city of millions of people. Next stop is the settlement of Poconé on the edge of the wildlife preserve. There is only a single access to get to the heart of the Pantanal and that is a clay dirt road with many huge potholes, at times 40 cm deep, the Transpanateira. This road ends after 150 kilometers at the Cuiabá river and you have to use the same way back out. 189 wooden bridges, partially rotted, turn this break-neck tour into an exciting adventure. Reward for the fear : unforgettable encounters with unusual animals, with giant Tukans, River and Giant Otters, Nandus, Howling Monkeys, Marsh Deer, Armadillos, the Great Ant Eater, Anakondas and maybe even a Jaguar. Canon EOS-1, EF 4,0/600mmL, 1/250 sec. Fuji Sensia 100, Sachtler Tripod ENG 2 CF. of birds, while taking to the air, as I was sitting in the boat, easier. me, it quickly disappeared again. This little game was repeated for more than an hour. Then finally, the cave dweller was sure that I was harmless. Canon EOS-1 with Canon EF IS 4.0/300mm, 1/250 sec. ,1,4 X converter, Fuji Sensia 100.
pace and crossed a meadow obviously with a specific purpose in mind. Canon EOS 1, EF IS, 4.0/300 mm with picture stabilizer, 1/500 sec, Fuji Sensia 100. Waterworld. During rain season the shallow bowl of the Panatanal slowly fills with water. Leisurely the large wave moves toward the Ocean - the Rio Paraguay has a decline of appx. two to three cm per kilometer. A sensitive film and bright wide angle lens are the best prerequisites for aerial photos, that way you avoid transferring the vibrations of the airplane onto the picture. Canon EOS-1 with 2.8/28-70mm zoom, Fuji Sensia 100. Photo tour 1: One week Transpantaneira round-trip, every evening a different lodge. Inevitably you have to keep your entire travelling and photo equipment for days on end in the car. Problem: cooling of the developed and undeveloped filmmaterial. To take pictures out of a car for a week at such extreme high temperatures requires a strong constitution! Photo tour 2: 14 days at the Cayman Lodge. Daily photo stalking with four-wheel-drive pickups. Problem: On the flatbed of the truck you are constantly in the sun. Head gear with neck protection or hats with wide brims are strongly advisable. Factor 30 sunscreen should be applied several times a day. A good insect repellant. Rubber boots are often advisable in spite of the high temperatures. Nearly half the pictures you take, are mostly from the bed of the pickup truck with tripods. Seat availablility: wheel caseing and empty crates. 189 bridges. The Transpantaneira is the only road through the Panatanal. The countless, partially rotted wood bridges turn the drive into an adventure. Season for travel. From a photographic point of view the dry periods from July until October is the best time to travel to/through the Panatanal. 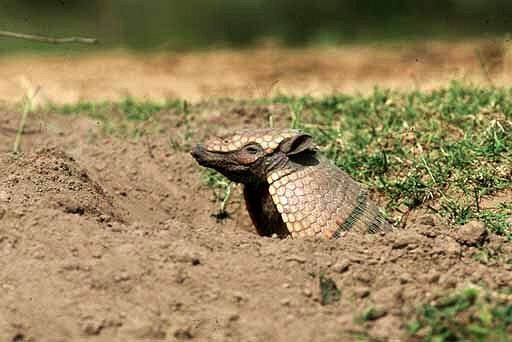 The grass savannas are mostly dry and the waterfowl concentrate on the rivers and lakes that are left, just like the Water Pigs and Caymen. Flights. Transatlantic flights with VARIG or Lufthansa from Frankfurt. Both airlines are connected through a code-share program. There is at least one aircraft which travels to Rio de Janeiro or Sáo Paulo a day. Price for a round trip ticket is appx. DM 1,700,- . Travel time Frankfurt - Sáo Paulo is 12 hours. From Rio or Sáo Paulo you continue on to either Campo Grande or Cuiabá. Currency. In 1994 Brasil changed to the Real and has its bearings on the US-Dollar: You pay DM 1.70 for one Real. Credit Cards, traveler checks and US-Dollars are accepted almost everywhere. Lodgings. Accomodations in the Panatanal are sparse. Some can only be reached by aircraft or boat. There are five lodges along the 145 Km long Transpanateira and the road ends as a dead end street. Since there is only one gas station on this road, it is advisable to gas up beforehand. 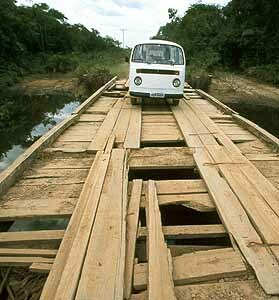 You can transit the Transpanateira with a VW-Bus during the dry periods when the road is dry. In other areas you can´t move without a four-wheel-drive vehicle. There is a first-class lodge on the outskirts of the Panatanal, the Refugio Ecologico Cayman. 70 guests find space in four buildings/houses. There is a program to accompany the gauchos (Cowboys) when the herds are driven out of the Panatanal, besides the normal trips in back of a flat bed pick-up and boating tours. Also, the lodge offers guides that speak german. Clothing. Light summer clothes. Longarm shirts (because of the mosquitos and other insects); head gear, best with neck protection (against sunburn); a mosquito net is advisable. Travel equipment provider : Globetrotter, Wiesedamm 1, D-22305 Hamburg, Tel. : 040/291223 (Catalogue on request). Lenses. My favorite lens is the 4.0/600 mm from Canon. Long focal lengths (400-600) with a high luminous intensity allow for pictures with a converter which expands the focal length by a factor 1.4 or 2. A high luminous intensity is very important for short closures since the pictures are shot mostly from the car on the Transpanateira. The car is also used as a camoflage or hidden tent. For fast action shots and pictures out of a moving boat I use a 4.0/300 - mm - telephoto lens with picture stabilizer, which replaces a tripod in many situations. Camera. I prefer a Canon EOS-1 with booster for fast picture frequency of up to six photos per second. The camera is especially robust and dependable and especially sealed against the dampness, rain and dust. Film. An allround film with good contrasting and excellent color saturation is the Fuji Sensia 100. With 100 ASA you can reach very short closure times even with telephoto lenses. This film is especially good for animal pictures. The Fujichrome Velvia 50 is first choice for me for landscape pictures: intense plastic colors which appear too loud at times. The Velvia tends to lean toward strong contrasts and fades too much into the shadows. The film requires some time to get accustomed to. I expose it with 40 ASA. Because of the large required deep focus with landscape pictures, I tend to need longer shutter times and work mostly with tripods. I expose appx. 350 films during a long haul journey of 3 weeks. Tripods. I take two tripods with me on every trip: a small lightweight one for landscape picutures; a large hydro tilt for smooth maneuvering while taking wildlife pictures. For weight reasons and a matter of stability, they are both made of carbon. Transport of photo equipment. I use a backback as trolley for larger journeys. It is similar to a board case and is accepted as hand luggage. Lenses from wide angle to 600mm telephoto and a camera with booster fit into the backpack. Two camera casings, the tripods and a car window tripod clamp are checked in with the regular baggage. I have my films in a second Photo bag as another piece of hand luggage. Under no conditions should films be checked in, since some of the newer X-ray machines can damage the films. Journeys far and wide. The biggest problem for wildlife photographers during flights to places far away is the transport of luggage and equipment. It is somewhat easier when flying to North America: your allowance are two suitcases at 32 kilos per bag and one piece of carry-on luggage. This is different on flights to Africa and South America: the allowance is one piece of carry-on and one 20 kilo suitcase for check in luggage, any additional piece or more than the 20 kilos allowed are charged with DM 65,- per kilo. The photo equipment of a photographer can weigh up to 40 kilos and more by itself. Recently it has become necessary to take the film material into the carry on luggage, to insure that they will not get damaged in the check in luggage by the X-ray machines. There is no office of tourism as such in Germany. 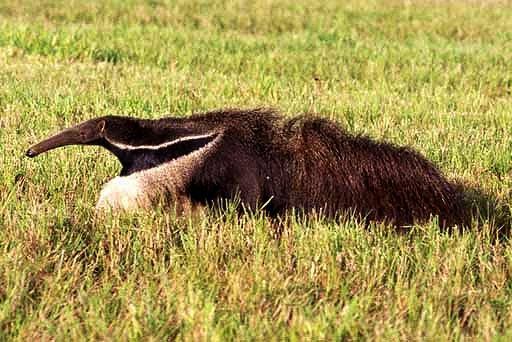 Questions and information requests on the Pantanal can be obtained through Arbeitsgemeinschaft Lateinamerika (Workgroup for Latin America), D-56412 Niedererbach, Tel. : (49) 6485 4812 from overseas or in Germany : 06485 4812. Literature. Reise-Handbuch Brasilien, Jens Peters, DM 39,80; Baedekers Reiseführer Barasilien, Mairs Geographischer Verlag, with very detailed information, DM 59,80. Precautions. Vaccines (Immunizations) against yellow fever, Polio, Tetanus, Diphteria, Typhus and Hepatitis A. Malaria preventives. As a precaustion for vermin it is not advisable to go bare foot. Very important: Insecticides, repellants and ointments for insect bites should be bought after arrival. Those types of medication are more effective than the ones bought here in Germany. Climate. Day time temperatures normally run at about 30° to 35° Celsius. The most important requirement for a Photo Safari in countries with high humidity: the sturdy, dependable camera that has the most important features (buttons and levers) protected from humidity and dust. In high humidity the telephoto lens should be placed into the casing, to avoid having it fog up in the morning. During trips to the tropics and subtropical countries it is important that you should make sure your films are kept cool. Optical lenses, which are placed between camera and lens. A 600-mm-lens with a 1.4 X converter has an 840 mm focal length, with 2.0 X converter it has 1200mm. A must for pictures from inside the car: a car window tripod. A compromise: a bag filled with rice or beans, weighing appx. 3-4 Kilo. Carbon tripods are in spite of their light weight very sturdy and almost 30% lighter in weight as the more common aluminum tripods. The world wide leader in manufacturing the carbon tripods is the Sachtler company. Ideal supplement: the Sachtler video tilt which turns the handling of heavy telephoto lenses to childplay. Carbon tripods are recently also available from the Gitzo company. Canon has developed a picture stabilizer in order to enable shooting pictures by hand, without tripods and with longer closures, and is built into the Canon EF IS lenses. So-called Gyro-sonsors which effectively prevent wobbling. 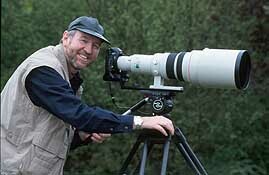 Uwe Walz is a globetrotter in wildlife photography.